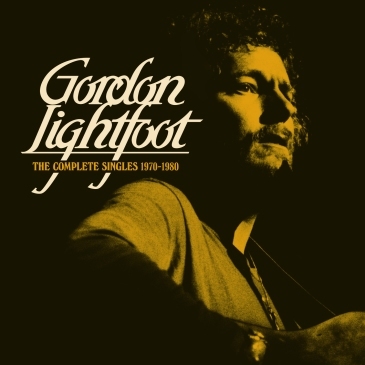 Gordon Lightfoot has come full circle at last. On March 17, he returned to the Phoenix venue — Celebrity Theatre — where he first played in Arizona in May of 1973. This writer had the good fortune to be there nearly 46 years ago. It was more than half his life ago and more than half of all our lives ago — hence the title of Gord's 2019 tour — the 80 Years Strong Tour. He turned 80 November 17th. The circular venue opened in 1964 as the Phoenix Star Theatre and later changed to Celebrity. It was known for its round, rotating stage that catered to more intimate gatherings with great sound and great sight lines. Lightfoot had burst onto the American folk scene in the early 1970s as a performer with "If You Could Read My Mind." He also was well known as a writer, having penned numerous tunes that had been recorded by other artists. It was good to see him back at Celebrity — he had played about 14 other spots around the Phoenix area and the state over the years, including Flagstaff, Prescott, Tucson and Yuma. Although the stage was stationary this time, the gathering that numbered around 1,200 didn't seem to mind. The house lights dimmed and Lightfoot made his entrance along the ramp with his band showing the way — Rick Haynes, Mike Heffernan, Barry Keane and Carter Lancaster. For the first set, Lightfoot wore the wine-colored jacket that has been a show staple in recent years. He appeared to be a bit under the weather, but he remained a trouper, carrying that work ethic learned from his parents long ago in Orillia, Ontario. He took swigs of water in between songs in the desert air. This was the 11th and final leg of this tour of the western U.S. that also took him through unseasonably cool weather in California and to Las Vegas. He poked a bit of fun at himself and his age. Of the 1973 show, he called it "a rough night" because he also said he didn't feel well. Now at 80, he said, "You tend to stagger a bit more and move a little bit slower." He also briefly outlined a few plans of his own as he moves toward the 21st album of his career (No. 20 was Harmony, released in 2004), and the fans were delighted by the news. The show had an Arizona flavor about it, and not just because of the show's location. Near the close of the 14-song first set, Lightfoot sang the long-time favorite, "Ribbon Of Darkness," one of the first Lightfoot songs to chart in the US. The recording was by Glendale, Arizona's own Marty Robbins and it reached #1 on the Billboard Country chart. This was almost a year before Lightfoot's own recording was released on his first album for United Artists. Wearing a white shirt and a dark vest for the 10-song second set (plus an encore), Lightfoot sang the song popular in these parts, "Carefree Highway." Many in the crowd sang along. When he wrote it for 1974's Sundown album, the thinly populated road stretched along the northern edge of Phoenix. Now it has housing developments, strip malls and fast-food joints. Lightfoot and the band weaved back and forth between early classics and those that came later. The crowd also enjoyed "Beautiful," "Cold On The Shoulder," "Did She Mention My Name," "Sundown," "Wreck Of The Edmund Fitzgerald," "Christian Island (Georgian Bay)," "Shadows," "Rainy Day People," "A Painter Passing Through," "If You Could Read My Mind," "Baby Step Back" and "Early Morning Rain." Each band member has their essential role: Heffernan, with his mad-scientist hair straying as he pores over his keyboard; a slimmed-down Haynes, the loyal comrade who is one of the best bassists anywhere; Keane, who provides a steady beat for all to follow; and then there is Lancaster, another memorable lead guitarist who continues the legacy of superb lead guitar players that was begun by the late Red Shea and carried on by the late Terry Clements. Lancaster plays with a flair-like style all his own and is well worth watching. And no Lightfoot set list can go without a song that might not have been remembered right away but seems to have its own magnetism. The one for me this time was "Much To My Surprise," from 1998's A Painter Passing Through album. The two hours went quickly and it was time for Lightfoot and his band to board a jet at the nearby airport for a trip back to Toronto and a two-week break. (I guess you can jump a jet plane like you can a freight train, at least for these purposes). Lightfoot's circle is complete. We can now sit back with our nostalgia and smile, and you can't ask for more than that. About the author: Don Ketchum has been a fan of Gordon Lightfoot since 1970 and was a longtime newspaper reporter for The Arizona Republic/The Phoenix Gazette. He has interviewed Lightfoot on a handful of occasions and wrote newspaper articles and stories for this site, including concert reviews such as this one.